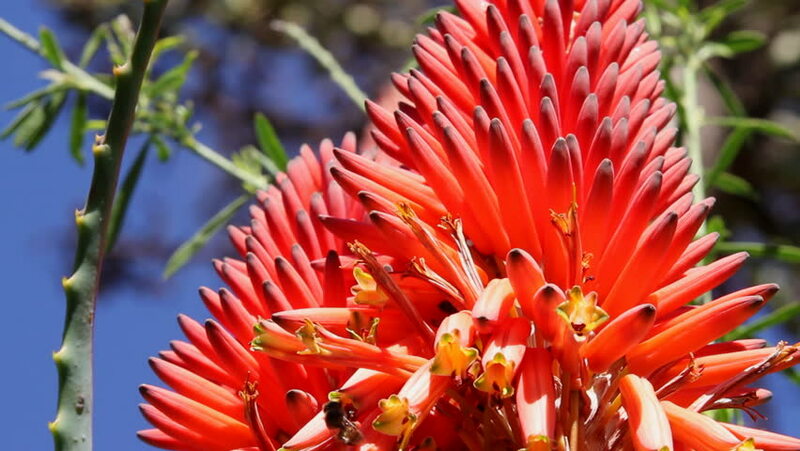 Honey Bees (family Apidae) pollinating Aloe Flowers. Their pollen baskets are clearly seen on the tibia on their hind legs. The color of the basket, red in this case, indicates the pollen source.